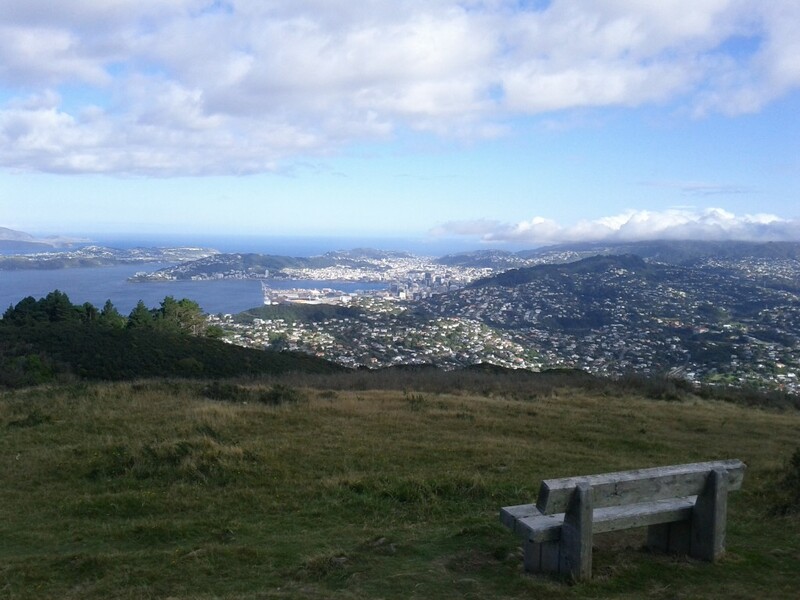 When I was in Wellington last month I caught up with my good mate Tom (of #geekflat fame) and we decided to go for a wander up Mt Kaukau with Tom’s friend Nicola. 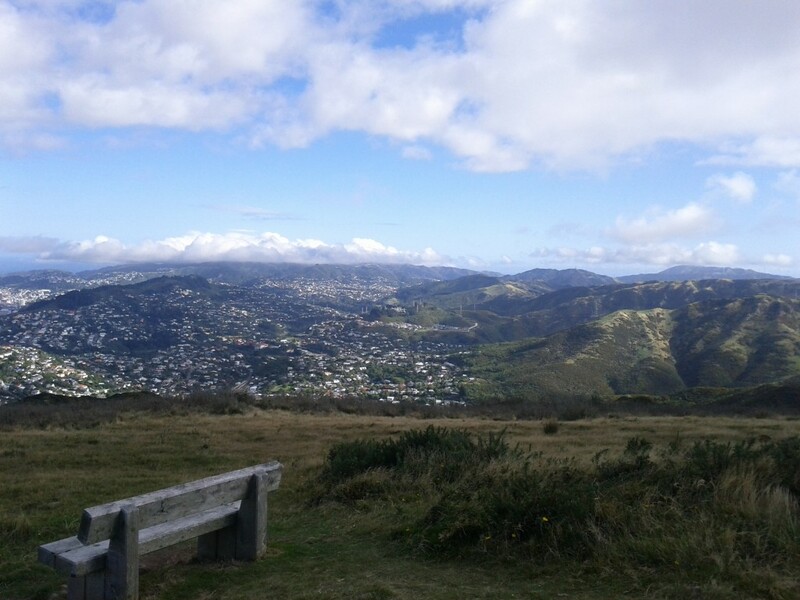 I spent most of my years in Wellington focusing on the CBD and southwards, so Johnsonville, Khandallah and it’s surrounding walks are quite new to me. 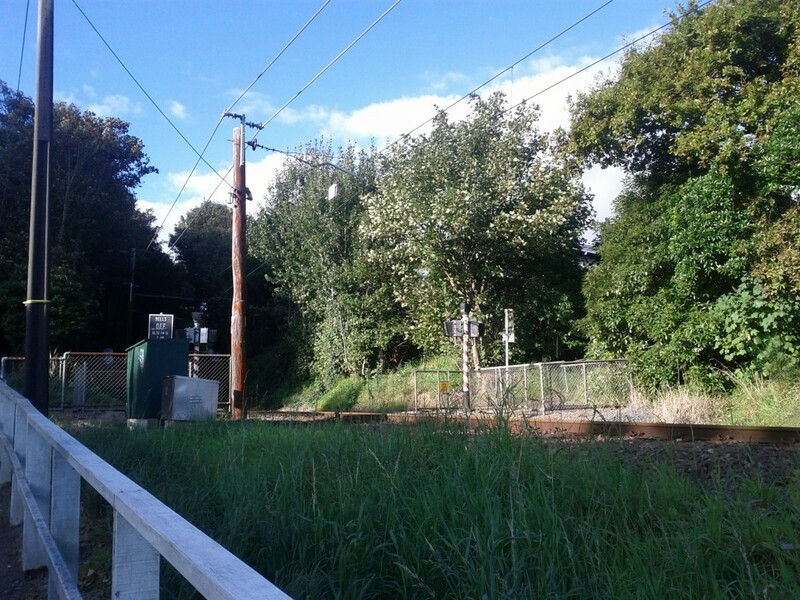 We took the route up from Johnsonville, going up to the peak and then back down into Khandallah side, before walking back through the suburbs, near the rail line, to Johnsonville. 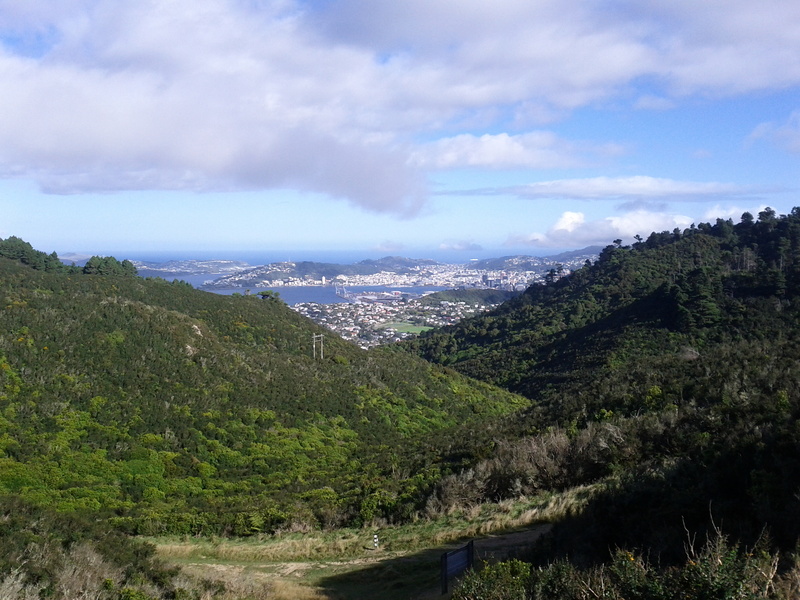 The Wellington City Council has a good map of the Northern Walks available for download showing the route, I also quickly whipped up a rough Google map of the start & exit points I took along with the route diagram. I should really record more GPS accurate tracks with my phone, but that stuff loves chewing up the battery quickly so not always possible. It's a @macropiper! 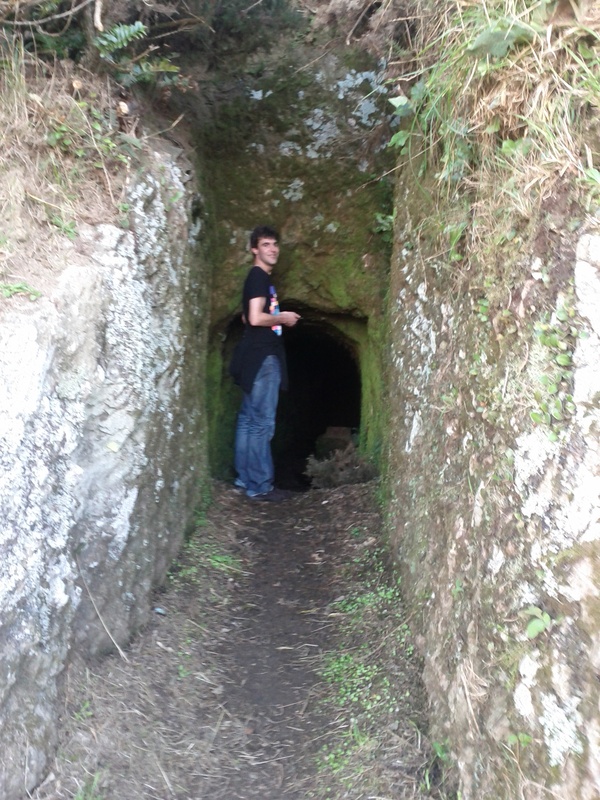 By a tunnel! (Turns out this tunnel is for the old water reservoir pipe). 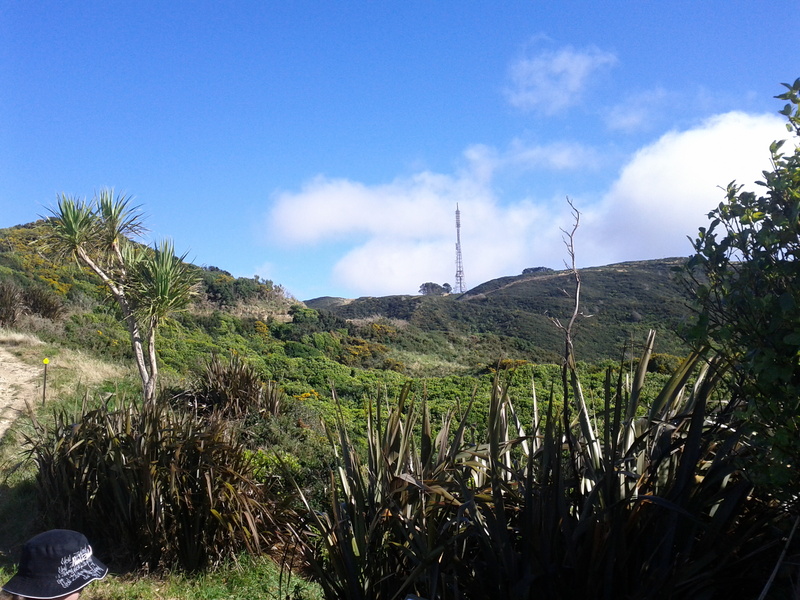 TV transmission tower in the distance - it's visible clearly down on street level in Johnsonville and looks a long way away from there - not really too hard getting there though. 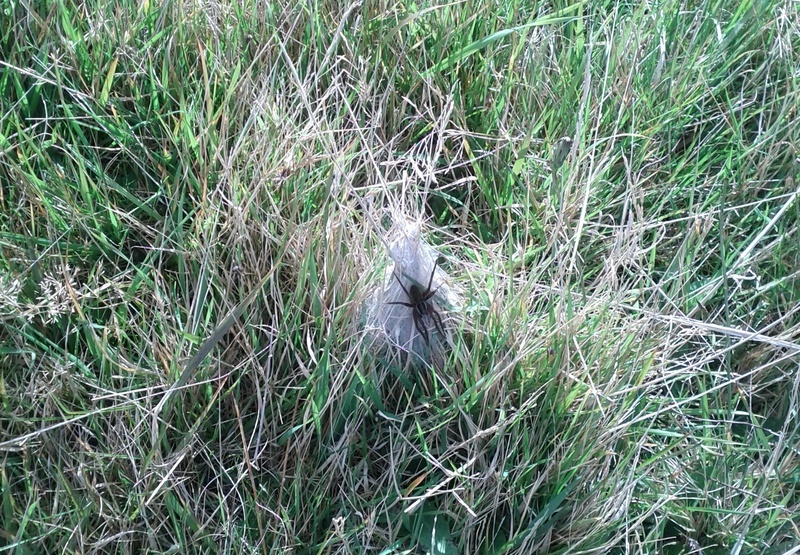 Uh-oh, what has Tom found? Will these landmark TV transmission towers still be relevant in 25 years time after everything has been replaced with IP over fibre? 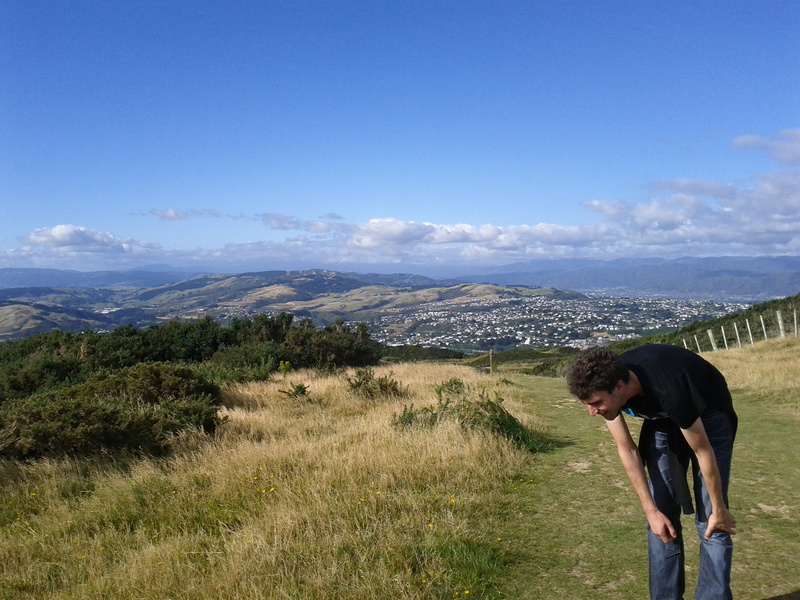 Wellington suburbs lapping at the foothills. Harbour view, love the trail of the turning cargo ship. 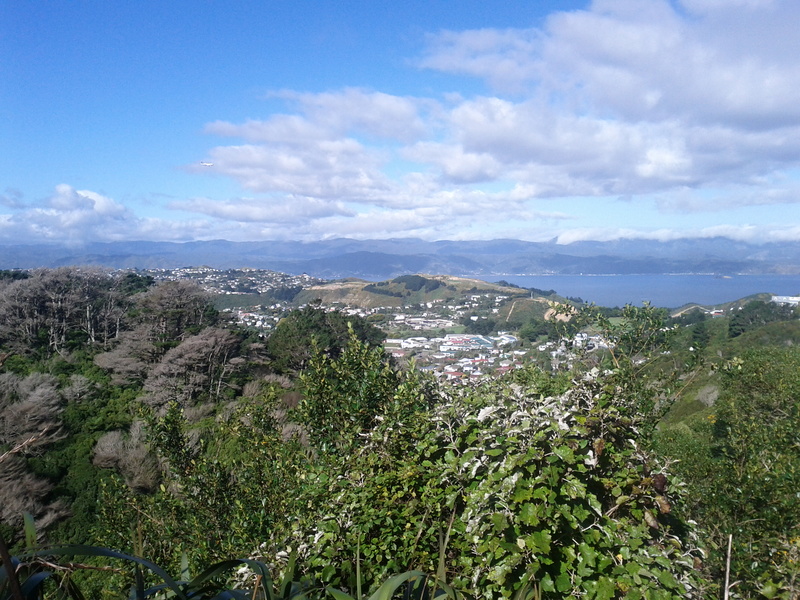 Panorama view over the harbour, CBD, surburbs and out towards Makara in the far right. Not very visable is the large wind farm out that way. Pictures don't really do the view from up here justice. 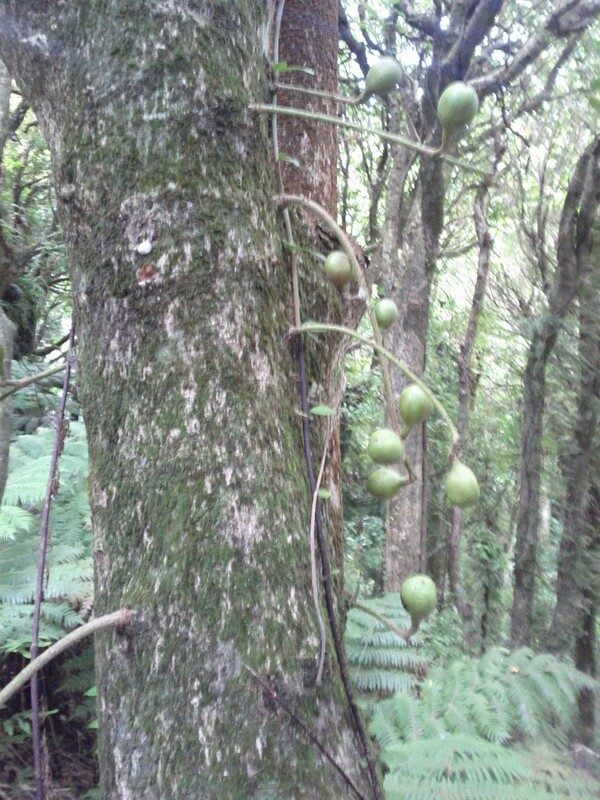 Anyone know what this weird tree is? It was a pretty good walk all up, not to long or taxing, but with a rewarding view and an excuse to wander through the suburbs for the first time. 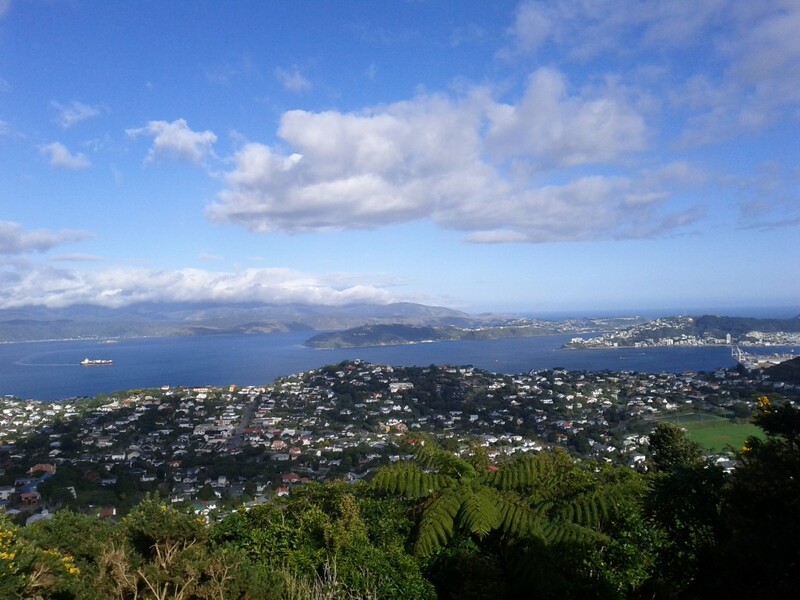 We came across a few promising looking cafes hidden in weird places in the suburbs whilst on the return walk, if I have more time in Wellington again soon I wouldn’t mind checking a few of them out, particularly one which was busy pulling home made pies out of the oven…. 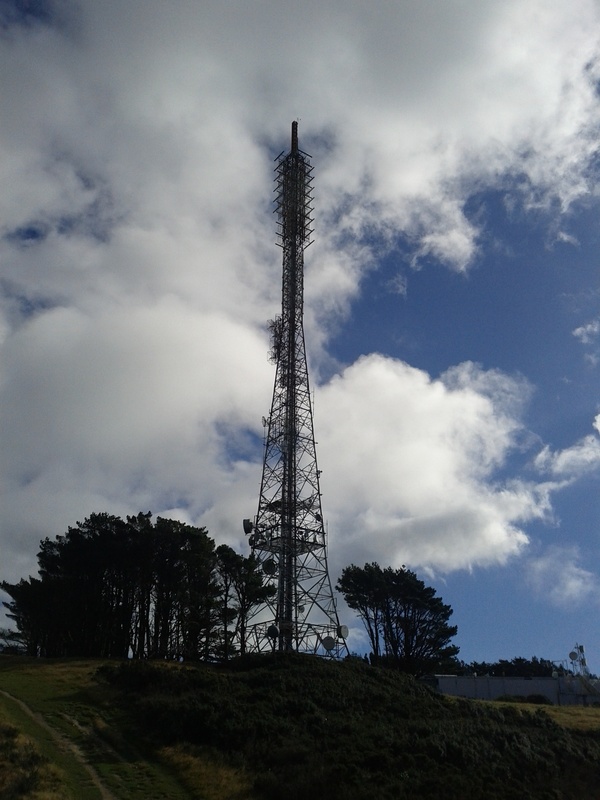 This entry was posted in Uncategorized and tagged harbour, johnsonville, khandallah, mt kaukau, outdoors, tom, tower, travel, wellington. Bookmark the permalink. I believe the weird tree is a fig of some kind.